Video. National Geographic Fellow Corey Jaskolski and his team design new technologies—like color night vision—to open new worlds to exploration. National Geographic Fellow Corey Jaskolski and his team design new technologiesâ€”like color night visionâ€”to open new worlds to exploration. 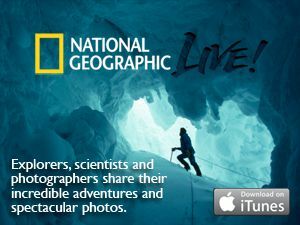 This video was filmed on Thursday, June 14th at the 2012 National Geographic Explorers Symposium at National Geographic Society headquarters in Washington, D.C.
National Geographic Fellow Corey Jaskolski is an engineer, specializing in creating technologies for some of the most challenging environments on Earth. He is currently developing new imaging solutions to help National Geographic explorers—and others—capture imagery that lets us all see the world in new ways. process of creating, processing, storing, and displaying images made from binary code. device used to obtain, analyze, and study visual data. to transfer data, usually visual, on to a computer.